This past Saturday was our July Crop with Crop Kingston. 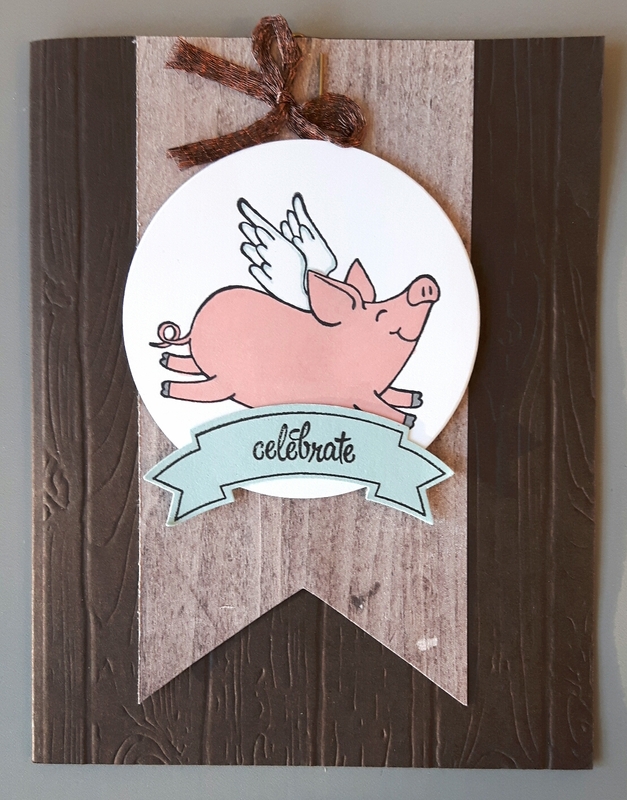 This month we raised $275.28 for Loving Spoonful! We were set up in a different room at St. Lawrence College but it was nice to have a new view out the windows for a change. 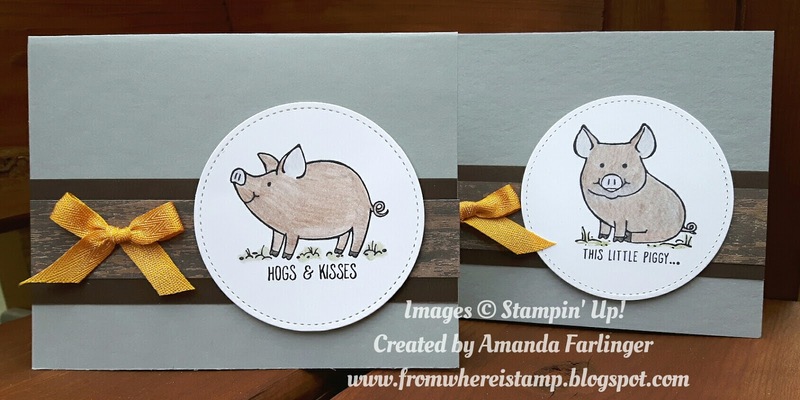 Pocket Page design I designed using the cute This Little Piggy stamp set. The Wood Textures DSP Stack. The little fence is so quick and easy. Add some small dots for nails makes it look even better! 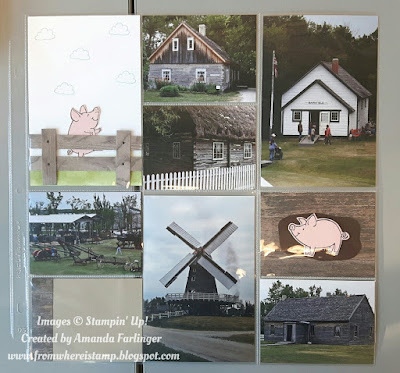 For one of the 4"x3" pockets I hand cut out a mud puddle for the pig to be in! 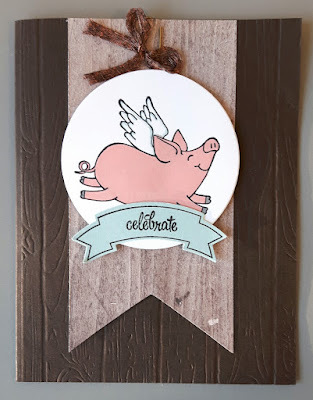 I prefer the pig to be brownish grey instead of pink! 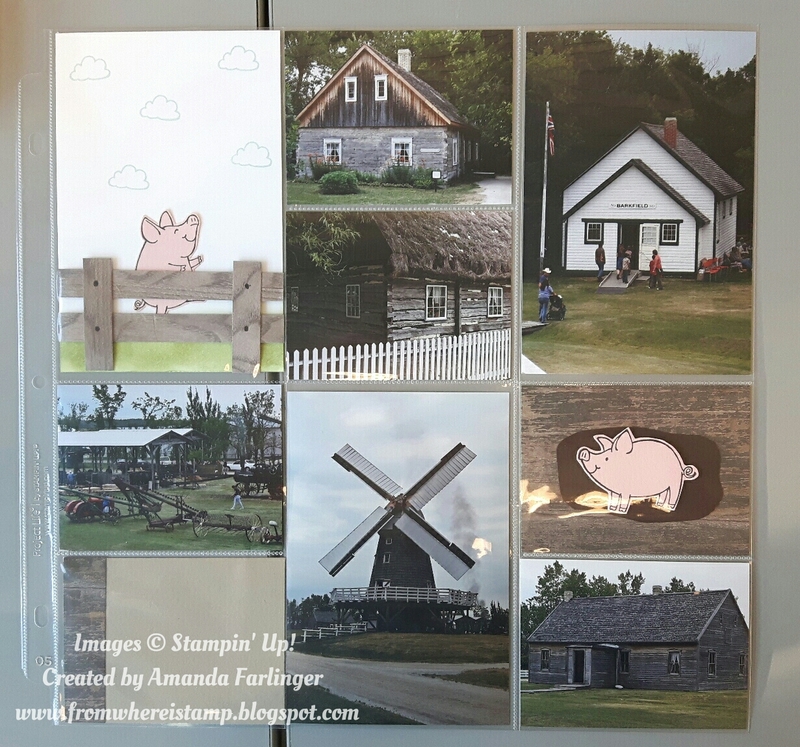 On these cards the pig is coloured with Water Colour pencils in Basic Grey and Early Espresso before using the Blender Pen to watercolour the images. We will be making these 2 cards along with 6 others at my This Little Piggy class on July 22, click here for details. 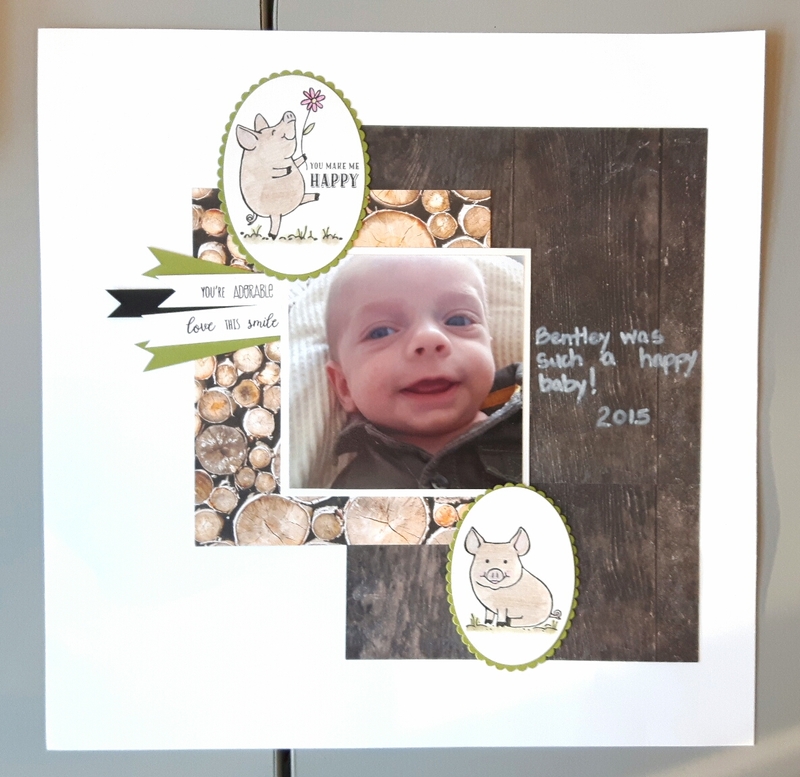 Lisa designed the above 12"x12" scrapbook page above and the 3D pocket bellow. I like her flags on the scrapbook page and she used the Chalk marker to write onto the darker wood texture designer series paper. Please join us on Saturday August 12th in support of Kingston Animal Rescue - sign up here by visiting Crop Kingston's Facebook page - we would love to see you there!